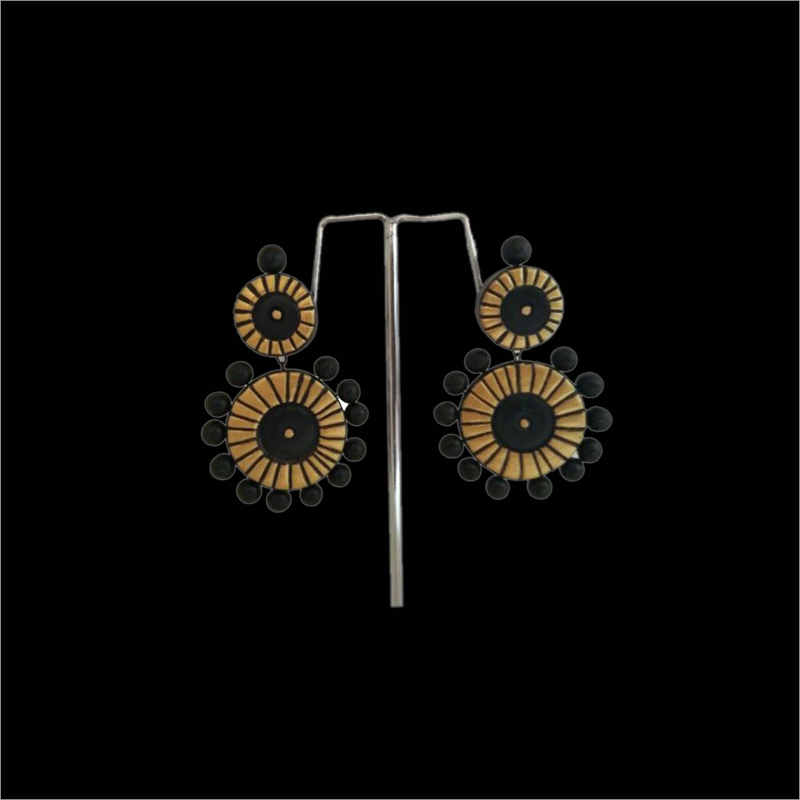 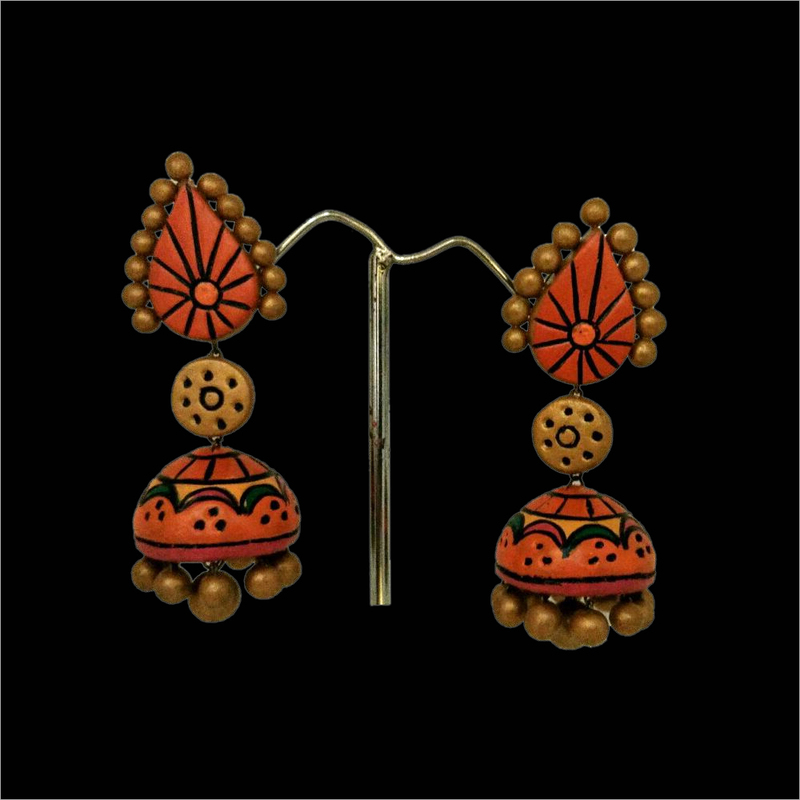 Add a graceful look to your beauty by wearing this Terracotta Black Golden Pettal Jhumka. 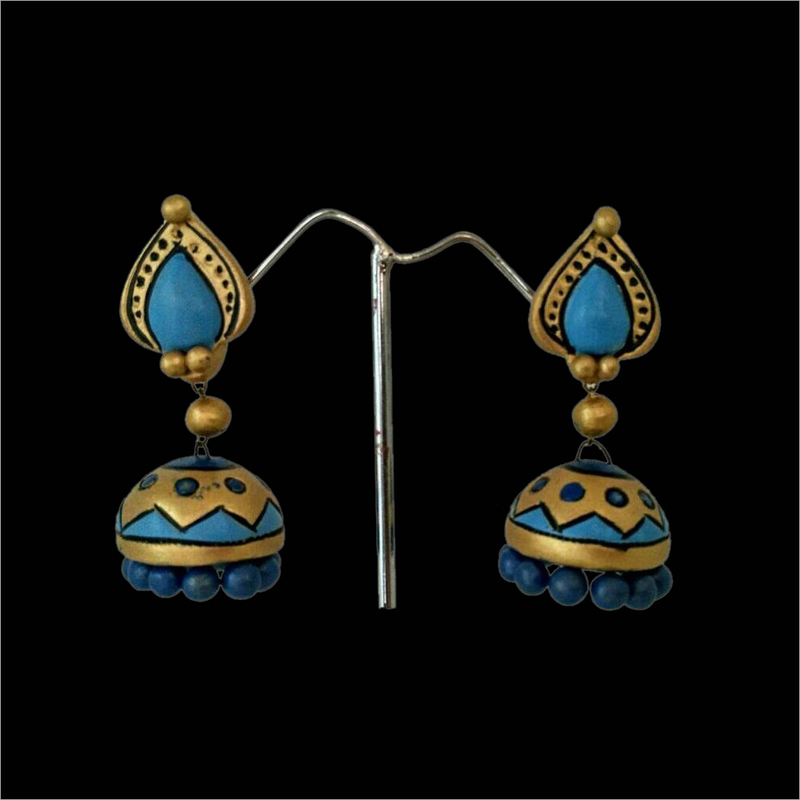 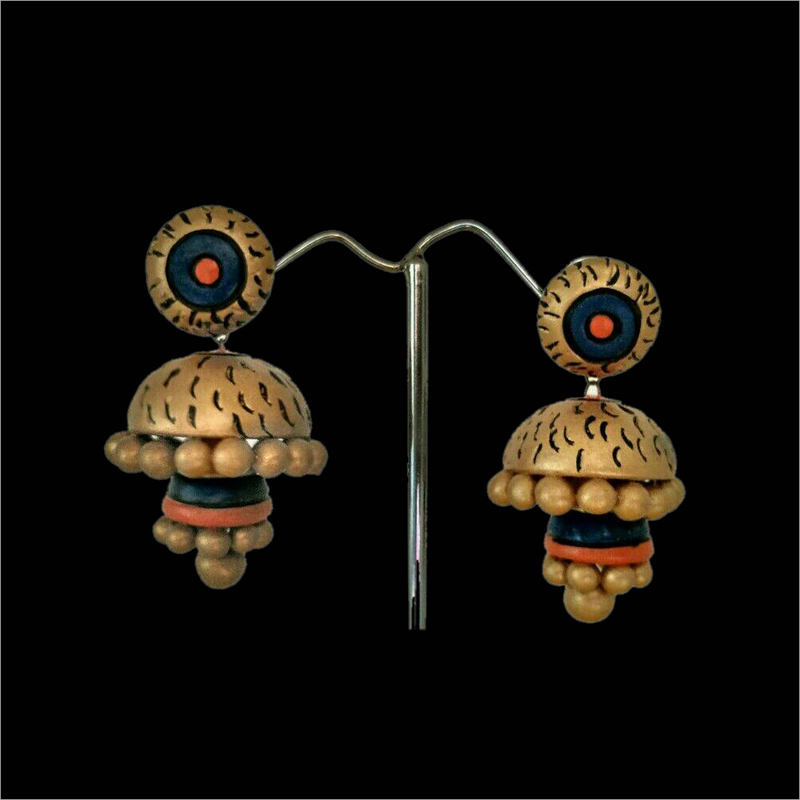 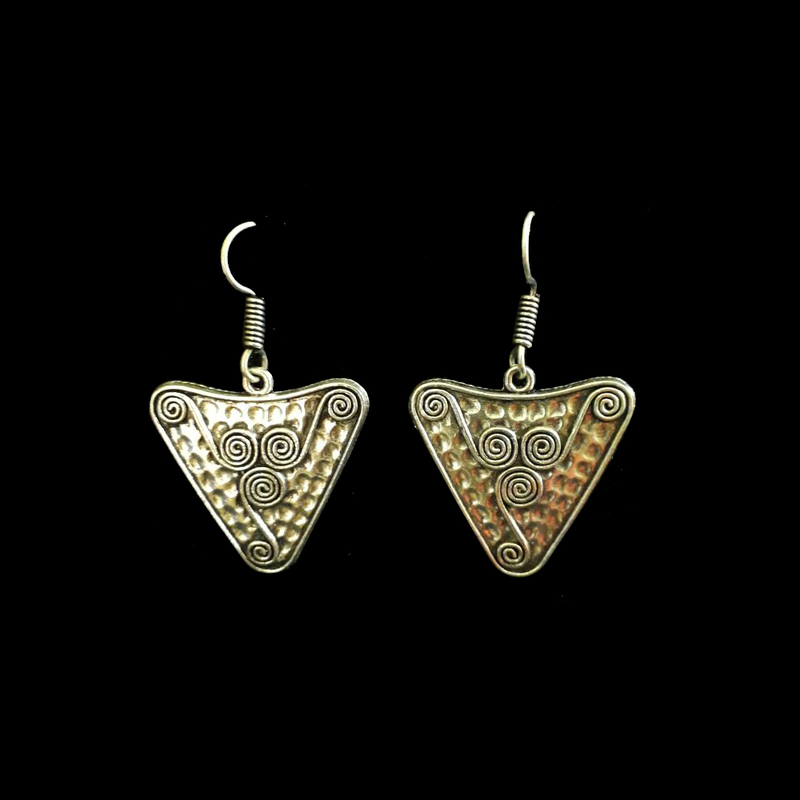 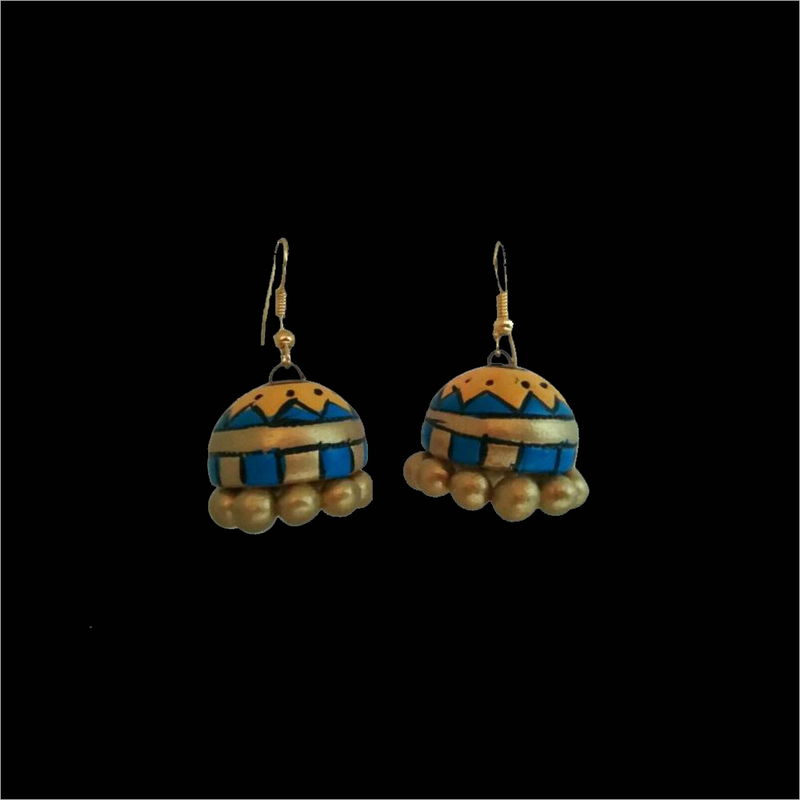 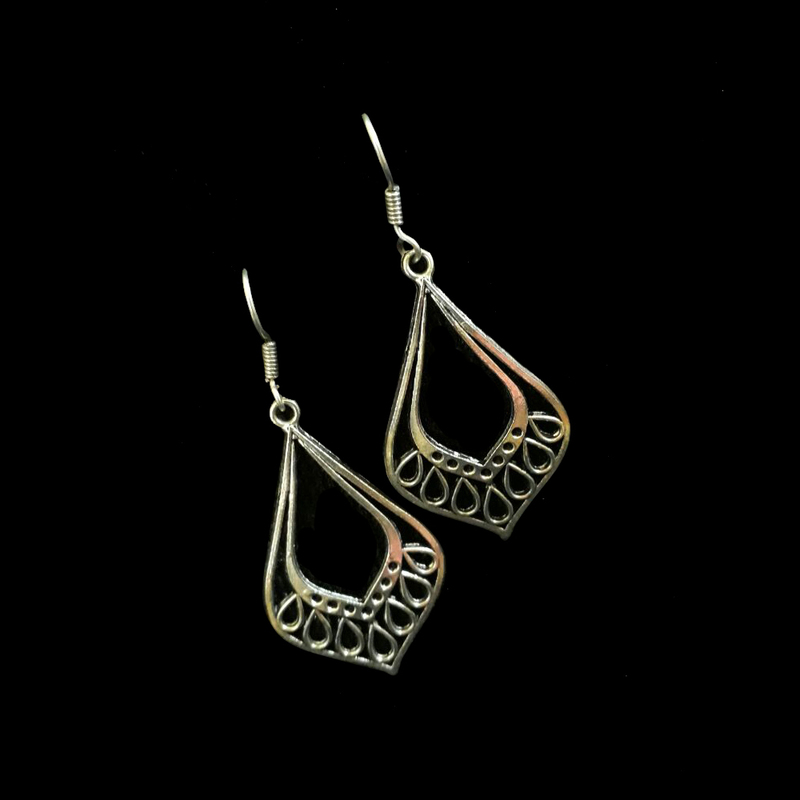 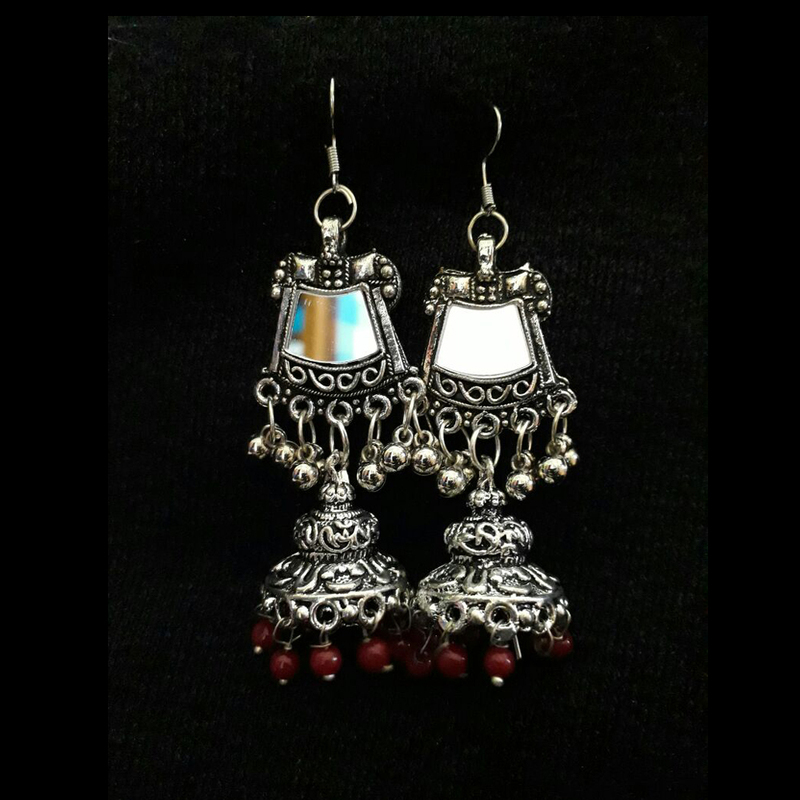 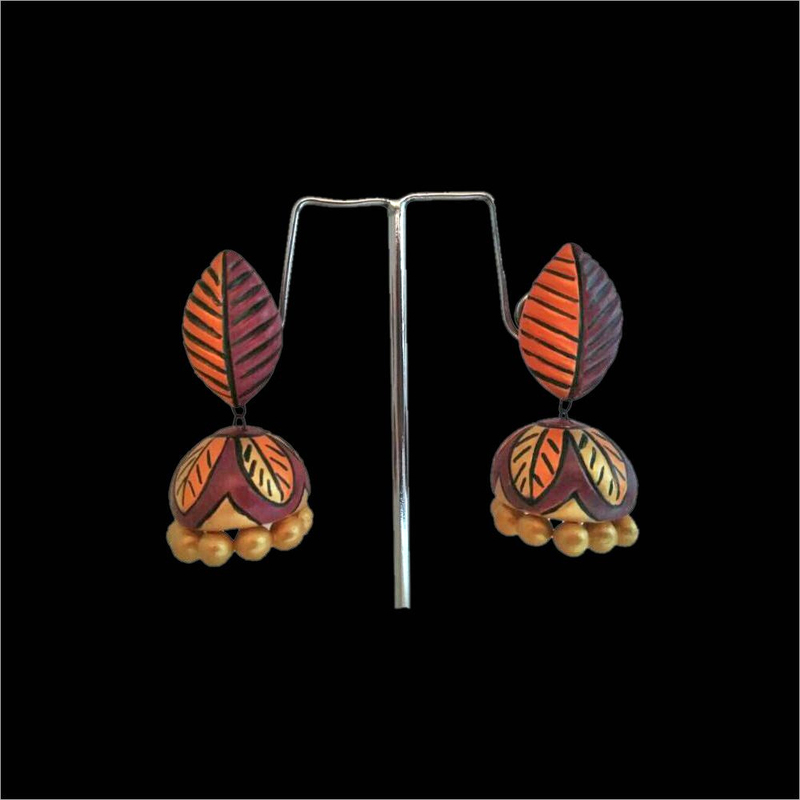 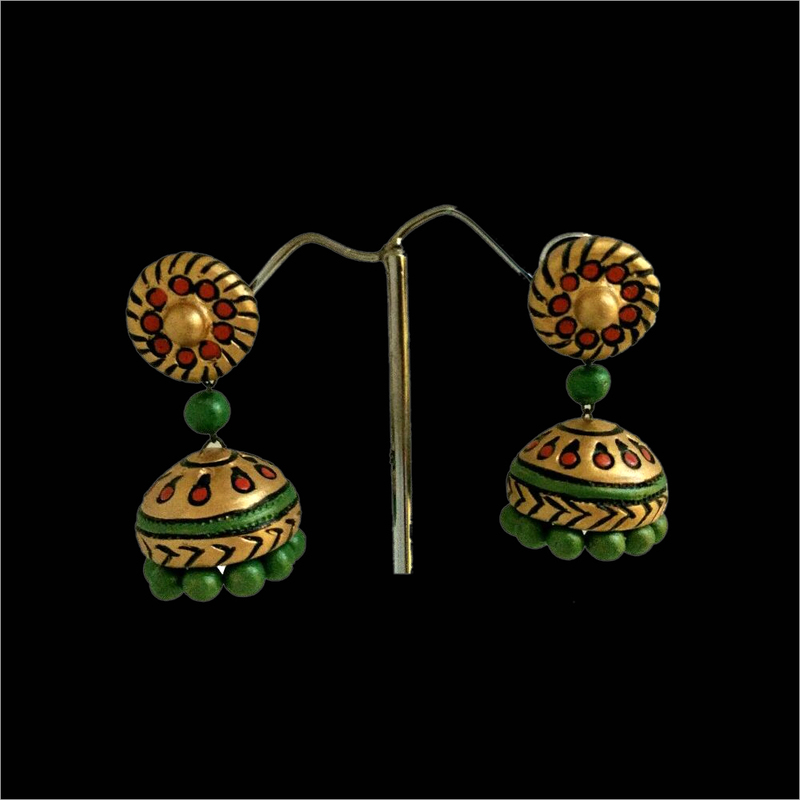 This jhumka is crafted in compliance with latest fashion trends by using modern carving tools. 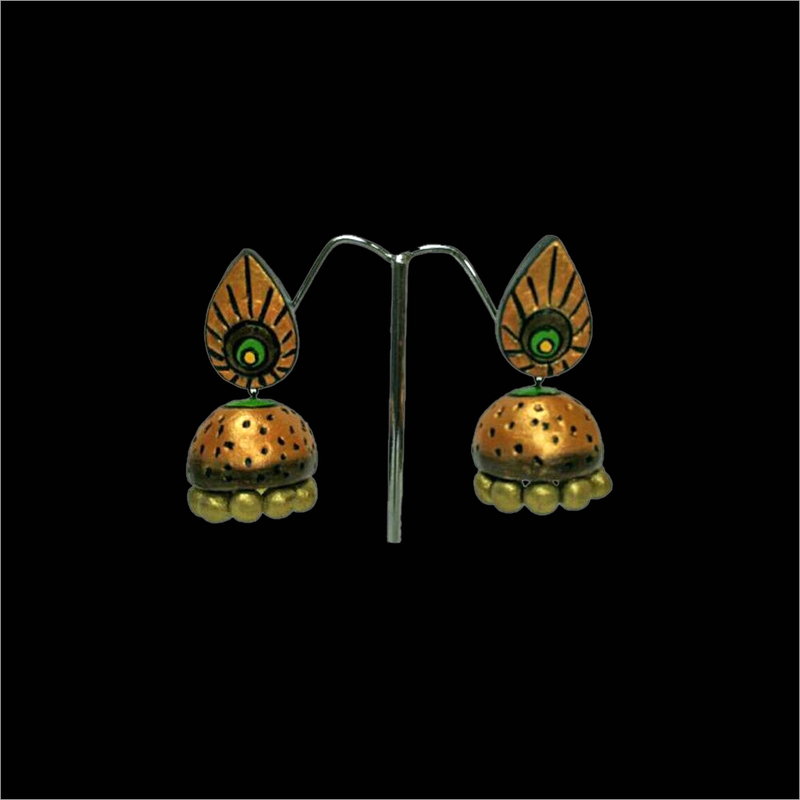 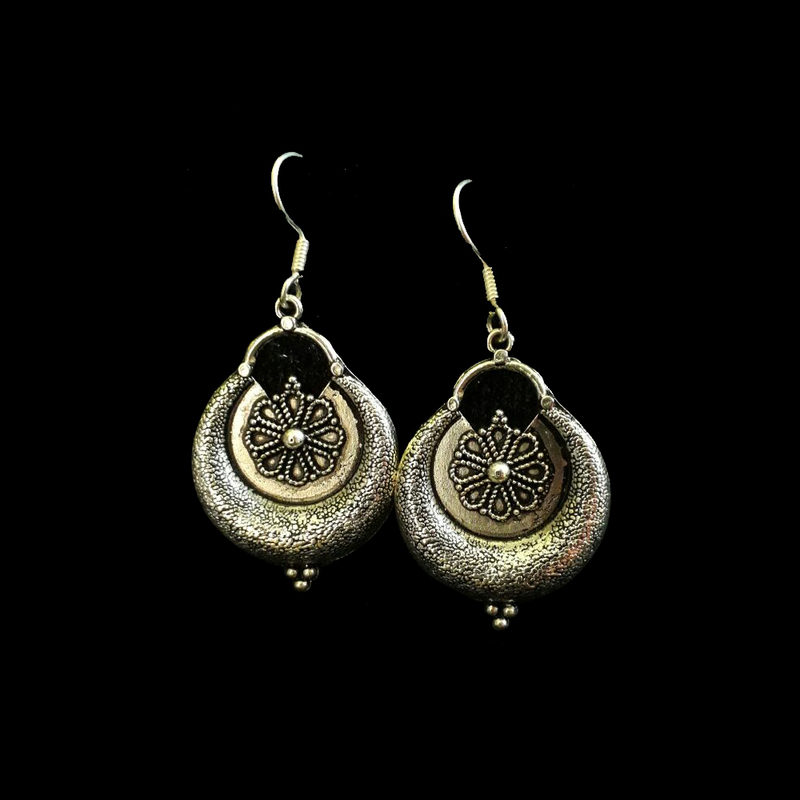 Our jhumka is designed by attractive black teracotta and is carved with golden finished petal that makes it high on demands. 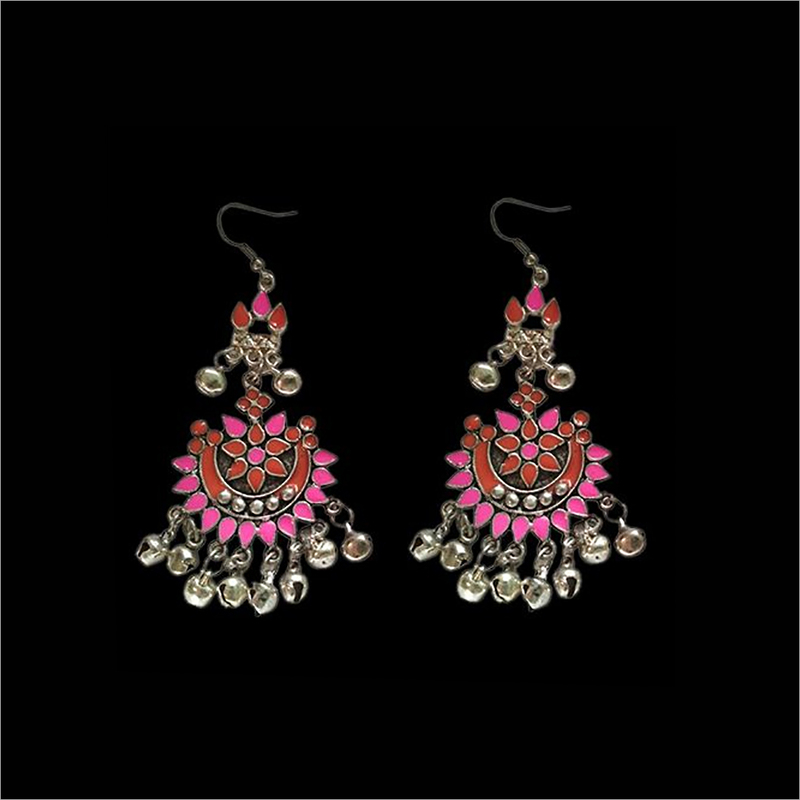 It is available in different colors, patterns and designs to meet aesthetic choices of clients. 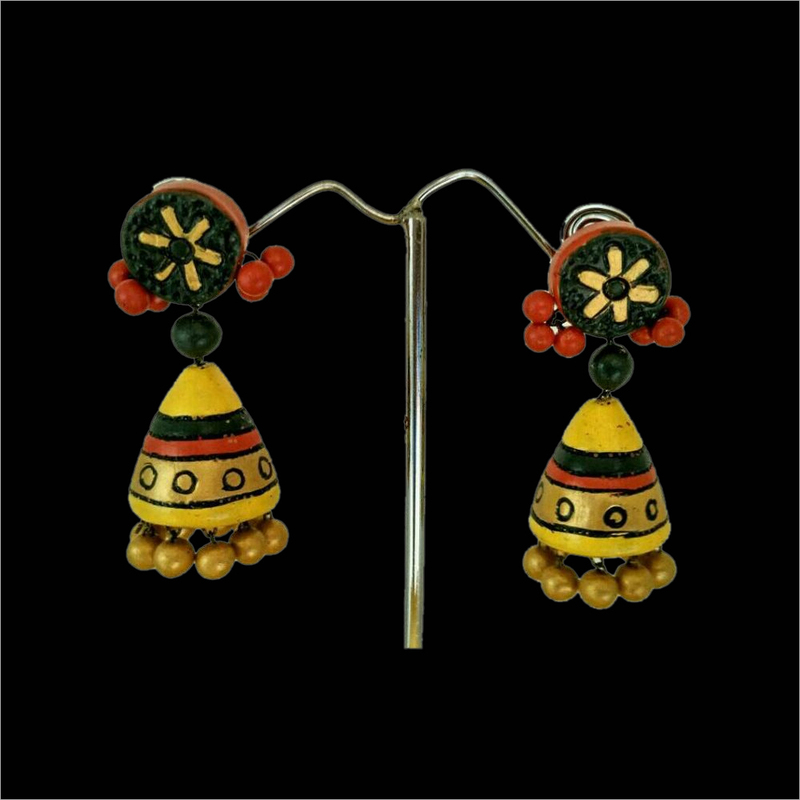 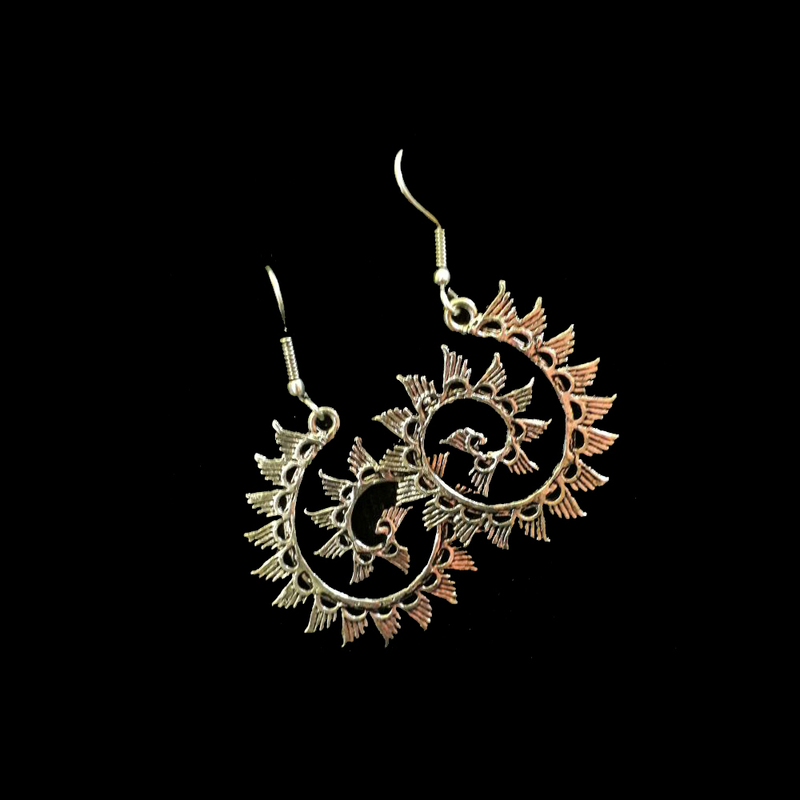 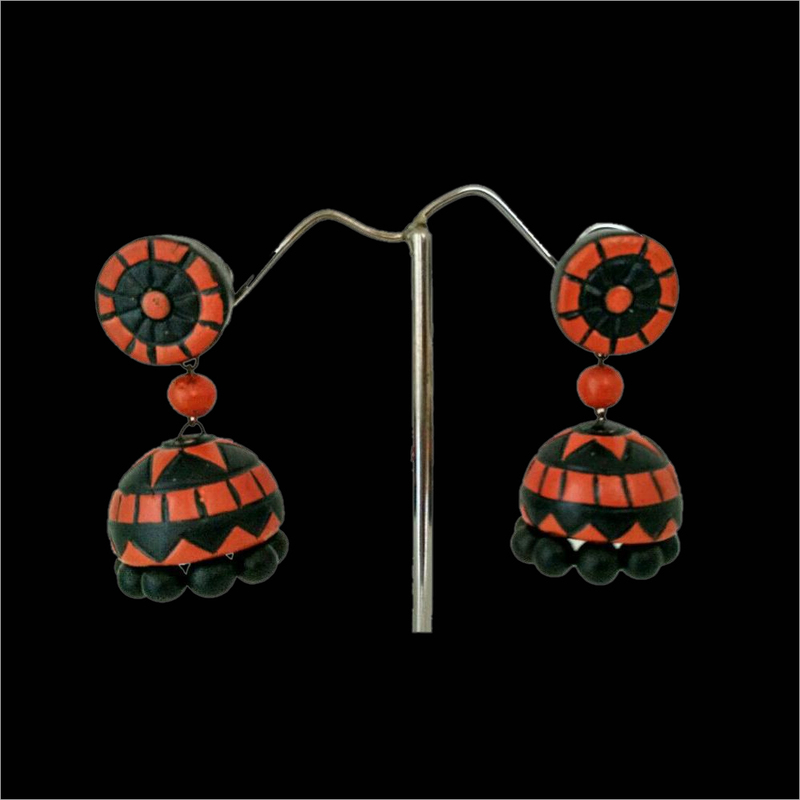 Ideal to pair with traditional dress, the Terracotta Black Golden Pettal Jhumka makes the wearer look unique.